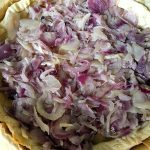 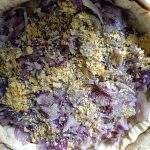 There are a lot of things that could be done with onion: onion soup, flamenkuche, thin onion tart like pissaladière (one of my favourite use of onions) and now I am sharing with you a vegan onion quiche. 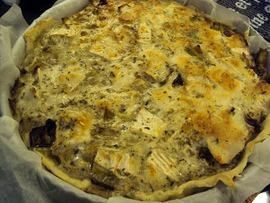 Since I am allergic to egg, I have been trying to find some alternative for making my much love quiche. 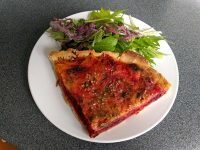 I tried with tofu, it was great but a little bit too thick for my taste, so then I decided to try my usual recipe and just remove the egg and add more corn flour. 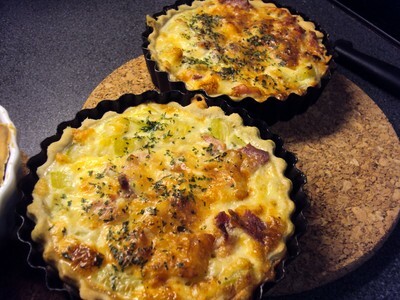 So now I have my perfect recipe for still enjoying quiche. 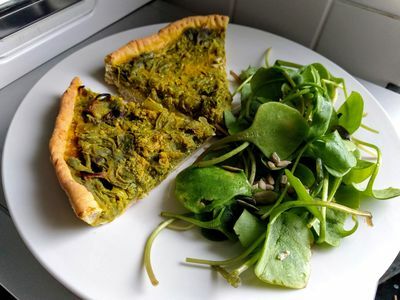 In this recipe of Vegan onion quiche, I added half teaspoon of sugar in order to remove the bitterness of the onion but that is completely optional. 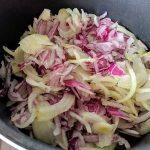 I hope you will enjoy the recipe as much as I did. 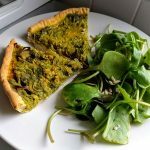 How to make a vegan onion quiche?